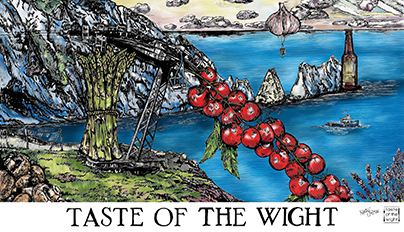 Zoe creates quirky hand drawn illustrations that can be found in published children’s books. 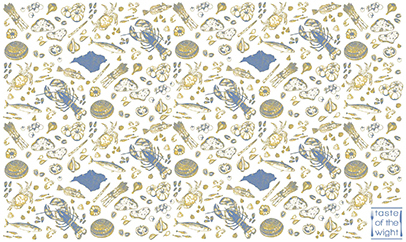 Her work is synonymous with her naughty octopus who features on this piece, grabbing sweetcorn and garlic with his tentacles. We worked with Zoe on our main edition covering July-September 2016. 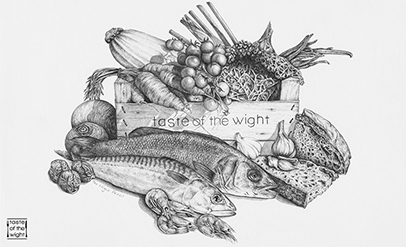 Zoe is regularly inspired by maps and sea creatures and focuses on illustrating children’s books. 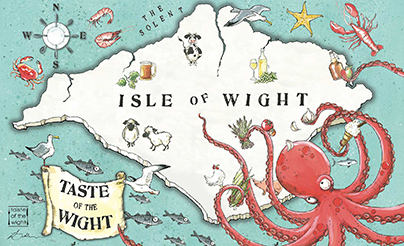 The idea was to create a map of the Isle of Wight with Zoe’s unique drawings illustrating the variety of produce from the Island, with an emphasis on seafood.